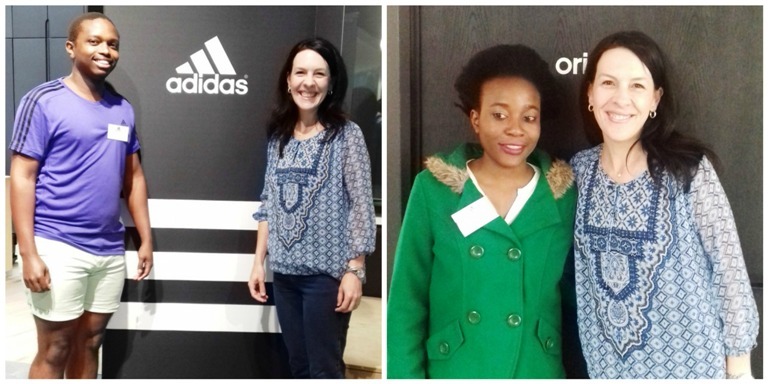 On Friday I had the privilege of joining nine other existing and prospective South African sports bloggers for the adidas Boosts Bloggers event in Cape Town - super exciting, right?! 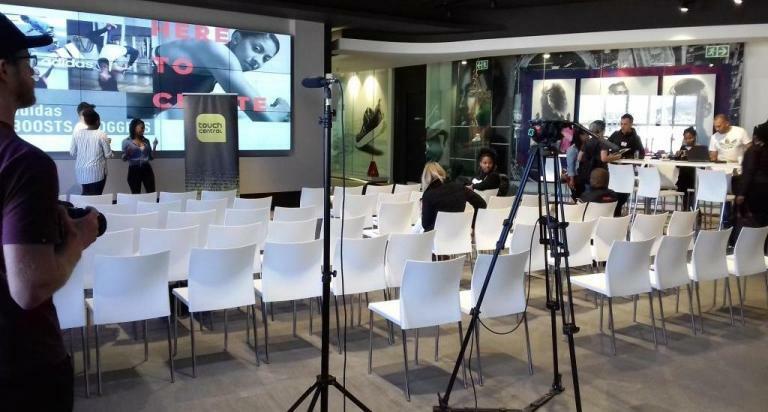 The event took place at adidas' head office and I must admit that the setting was quite intimidating at first... There were cameras and sound equipment everywhere, with the Touch Central (formerly Cliff Central) morning show being broadcast right there and then...! But everyone was super nice, making us feel right at home. The aim of the event was to inspire and equip sports bloggers with the knowledge and know-how to take their blogs to the next level: Well-known and massively successful bloggers Ben Karpinski from The Bounce and Aqueela Harron from Fashion Breed shared some tips and how-to's on blogging in general, while adidas' own Kelly Walden shared her expertise on becoming more social media savvy. 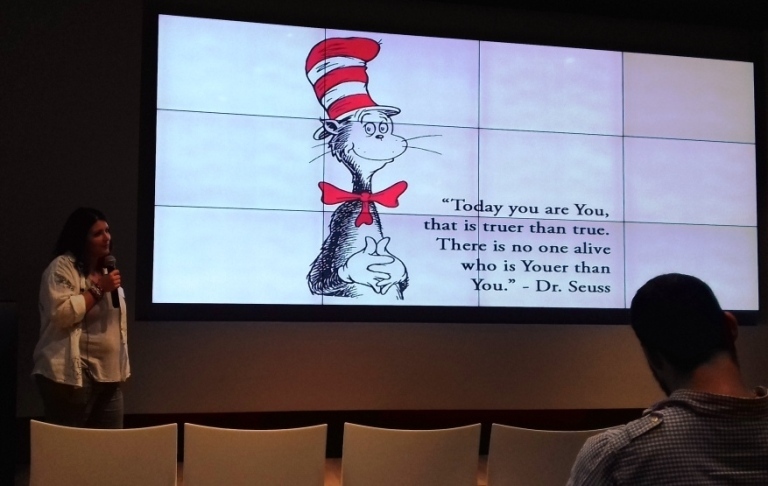 I love how emphasis was often placed on being yourself and finding your own, original voice - or in Dr Seuss' words "...There is no one alive who is youer than you". Amen to that! I also (finally!) had the opportunity to meet some fellow local running and fitness bloggers in person (hi, guys! ): Atlegang from That Indie Runner and I have been chatting over the interwebs for ages, while the lovely Samantha from Dumbells and Delights and I only met via Twitter a short while ago. Go and check them out. Atlegang from That Indie Runner (left) and Samantha from Dumbells and Delights (right). And, just in case you were wondering: Yes, we were spoiled with some really amazing adidas gear as well...! 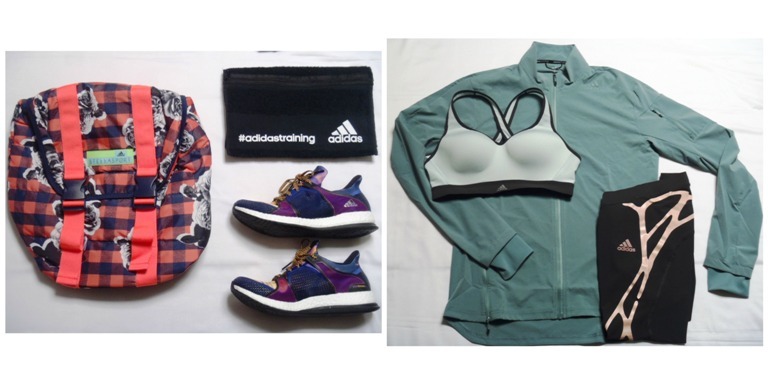 Left: Stellasport backpack, training towel and Pure Boost X shoes. Right: Supernova running jacket, sports bra and Adizero tights. 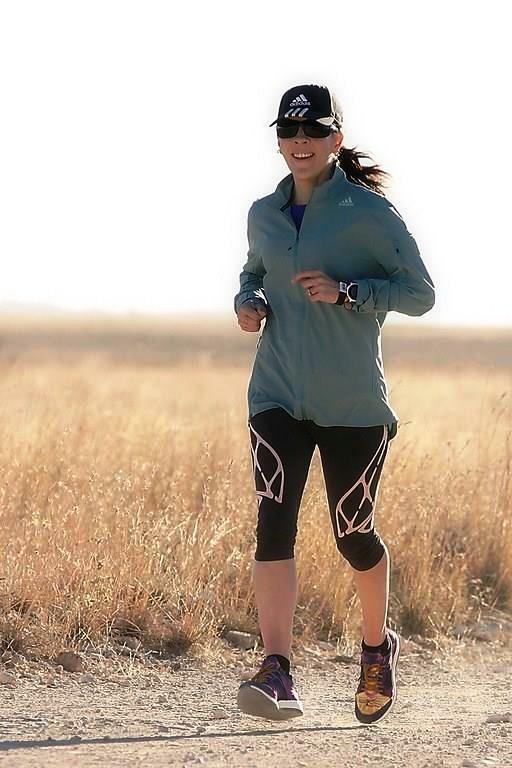 Any trip via Kimberley would obviously also be unthinkable without doing Kimberley parkrun - the perfect opportunity to test out all that stunning new gear, right? It was all good. Fired up and inspired to shoot for the stars! 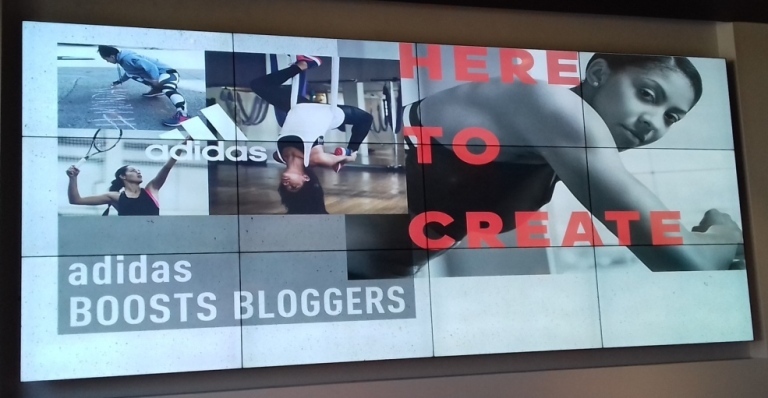 A big thanks to adidas for hosting and supporting us - honoured! Huge pleasure, Samantha! It was such a joy to meet you and I'll definitely be following your blogging journey in future! Hello! I just found your blog and am excited to read more! A Bloggers retreat would be so cool! 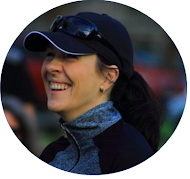 I've only just started my own running/fitness blog (and am still learning how to use it!). Hi Keri-Ann! Thanks so much for stopping by! All the best with your new blog - excited to read more!